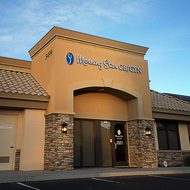 Welcome to Morning Star OB/GYN, located in Gilbert, AZ. We have been blessed to serve patients since 2005, when we opened our doors in the East Valley. Please feel free to browse our website, and do not hesitate to contact us if you have any questions. We are now taking appointments. Please see a list of health plans we accept. Classes in Natural Family Planning, a healthy alternative to contraceptives or IVF for avoiding or achieving pregnancy. Morning Star OB/GYN - promotes the dignity and well-being of women by providing exceptional obstetrics and gynecology services. We are happy to care for you at Mercy Gilbert Medical Center. Visit MORNING STAR OB/GYN on FACEBOOK!